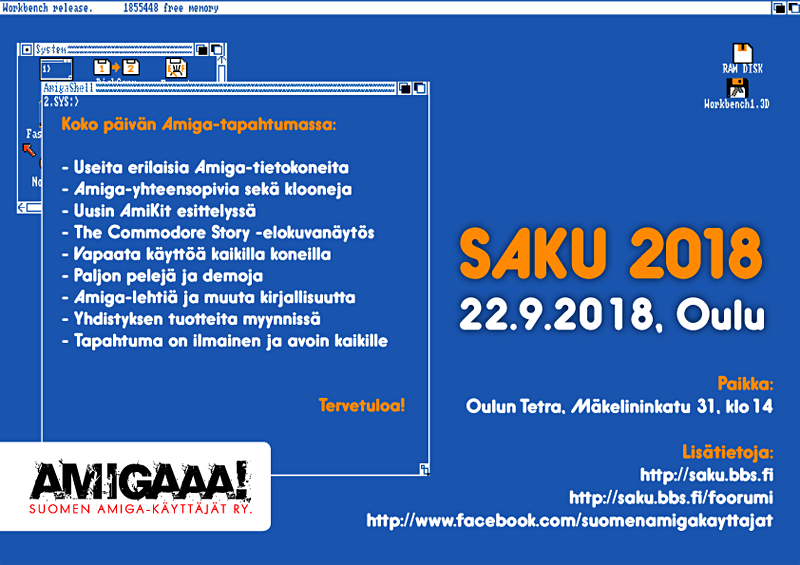 Amiga help is coming from every corner of the world. This time it comes from Madrid, Spain. Edu Arana is an active Amiga user enthusiast that is developing hardware expansion cards for the Amiga. And this adapter board for Amiga 1000 is no exception! This is the adapter board for Amiga 1000. The design of it is really unique. Amigascene seems to be evolving and this hardware design is not bad at all. What do you think? The very first Amiga was the Amiga 1000. It was released back in 1985. It didn’t give the Amiga as big push as Amiga 500 did. But today it is still one of the coolest Amiga home computers to have. Then it is even better to mention that people in the Amiga community is still giving this awesome machine important upgrades. One of the most known companies these days that supports Amiga 1000 is the Apollo Team. They are behind the amazing 68080 accelerator cards for many OCS and ECS Amiga computers. 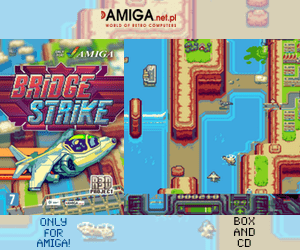 They have promoted them as new accelerator cards for low-end Amigas. 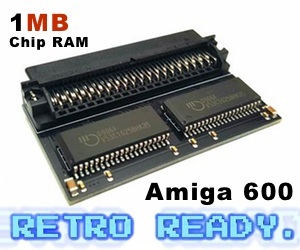 But the Amiga 500 version of the card works in both Amiga 2000 and also in the oldest one in the family Amiga 1000. The CPU socket seems to have endless power. 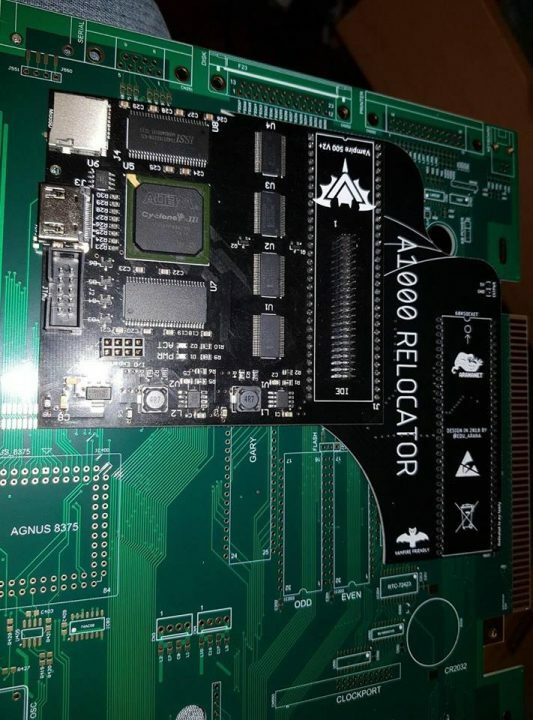 More than anyone thought of and it is this power that Aranet RetroProducts is making more solid with this new A1000 Relocator adapter board. 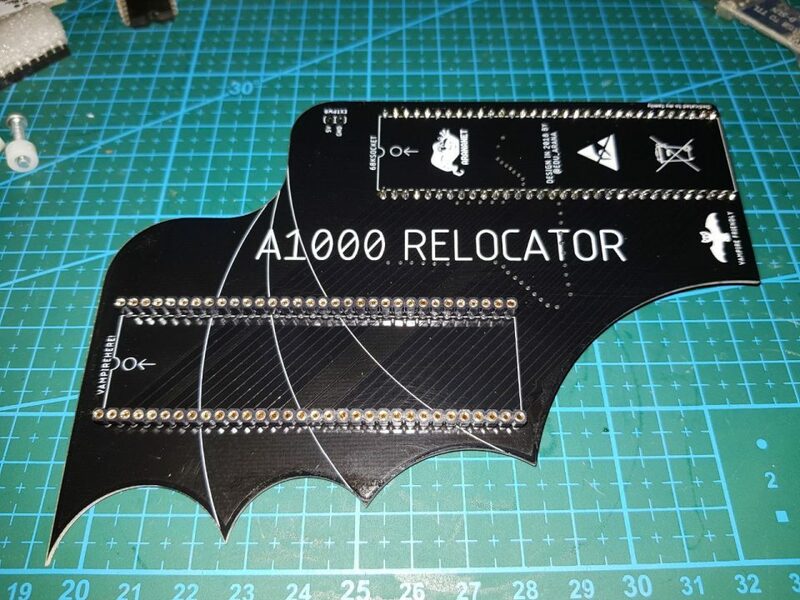 A1000 Relocator and Vampire V500 V2+ connected to it. This adapter allows relocating a 68K DIP CPU or accelerator on the Amiga 1000 motherboard. The form-factor of the adapter is designed to plug any kind of 68k accelerator like Vampire V500 V2+, 68020TK and TF530 to name a few etc. Keeping from interfering with the Amiga 1000 internal floppy drive and in some cases with the A1000 Daughterboard. So, if you want to have a more tidy Amiga 1000 motherboard. Then this adapter is excellent. The design and shape of the adapter look awesome too. Some really nice engineering skills here. Not only 68080 FPGA accelerator works with A1000 Relocator. 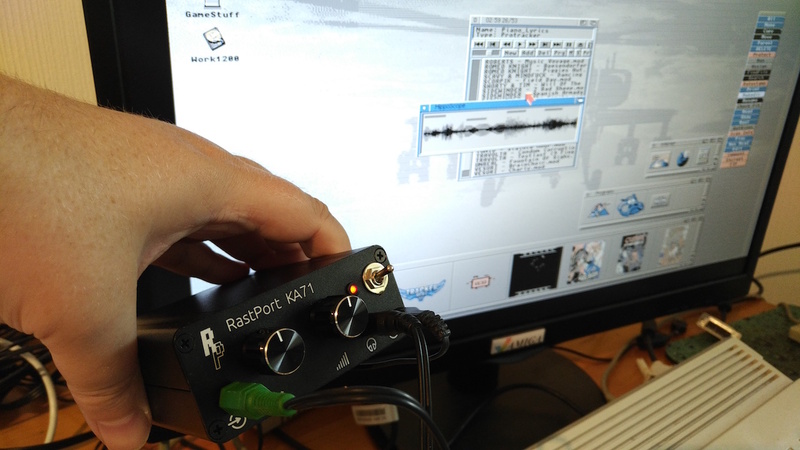 Also, other great expansion alternatives like 68020TK and TF530 is fully supported. All we can say is that this is just not any adapter for Amiga 1000. Keeping from interfering with the Amiga 1000 internal floppy drive and in some cases with the A1000 Daughterboard. Your cards will simply stay rock solid without any unwanted connections. This is a really neat adapter for Amiga 1000. For 30 EURO this is not too expensive in the Amigaworld neither. Get it on Arananet RetroProduction website here.